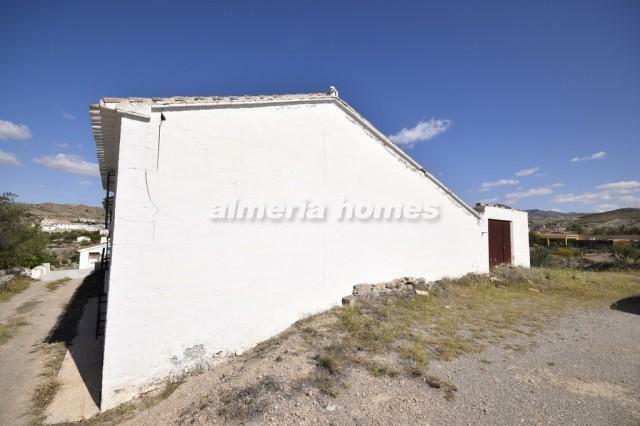 Lovely semi detached farmhouse for sale in the Almeria region. 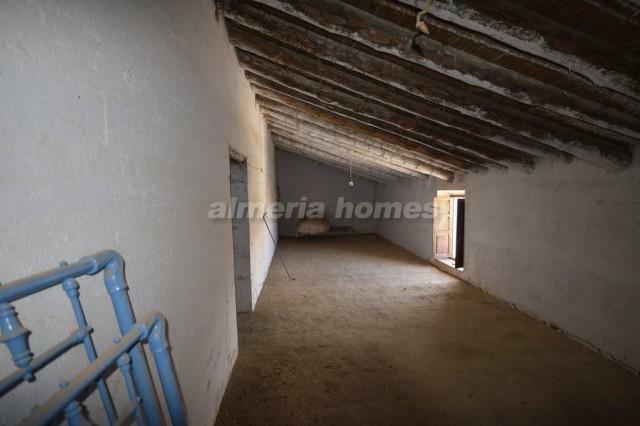 Comprising six rooms on the ground floor (current living space) and three huge rooms on the first floor (requiring reform). 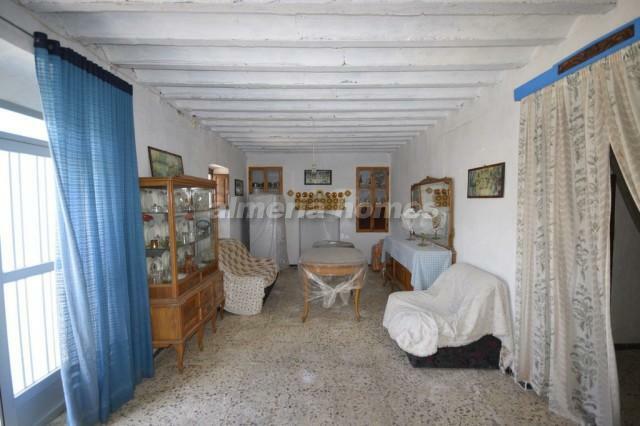 Through the front door is a large living room laid out with traditional fire place to the left. 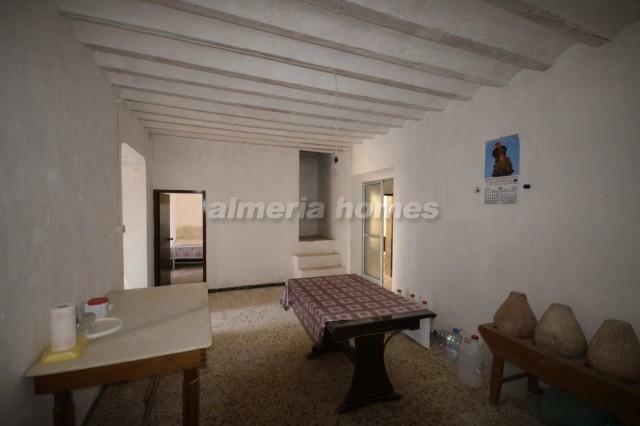 To the right is the master double bedroom. 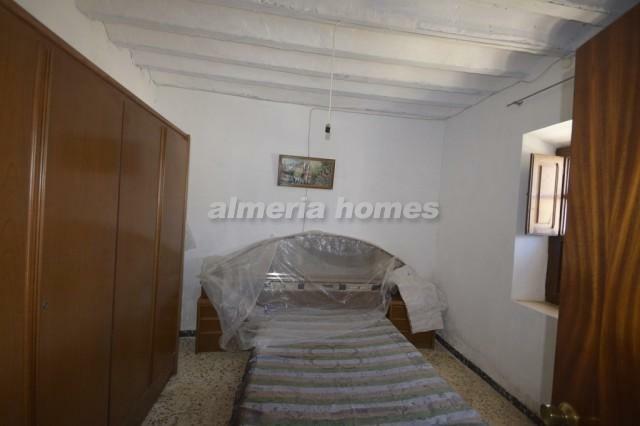 There is then a kitchen which has access to the second bedroom and access to upstairs and the current bathroom downstairs. 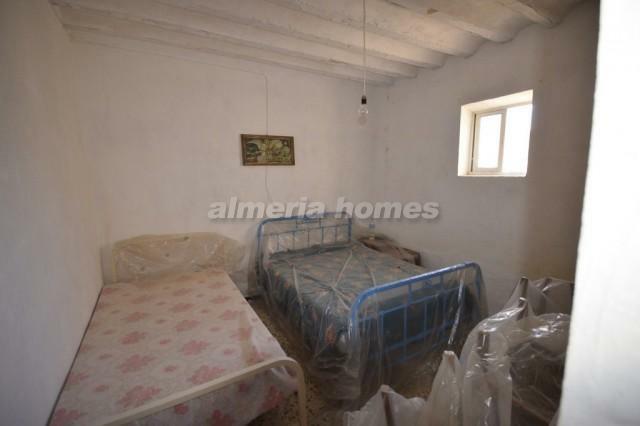 There is then an additional room which could be renovated to be a large inside patio / utility / shed area. 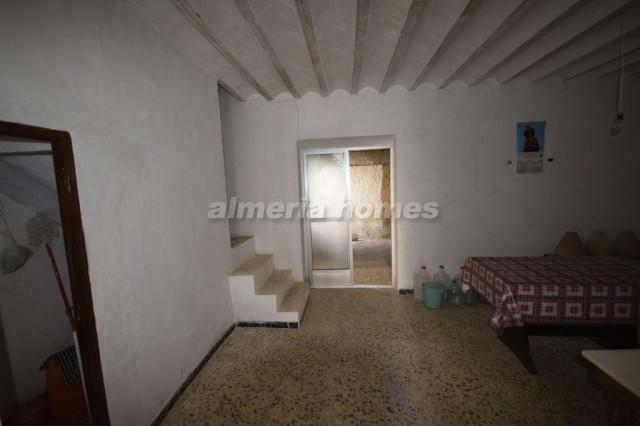 On the first floor are three large rooms which could be divided into an additional bathroom plus 2 or 3 bedrooms, if required. 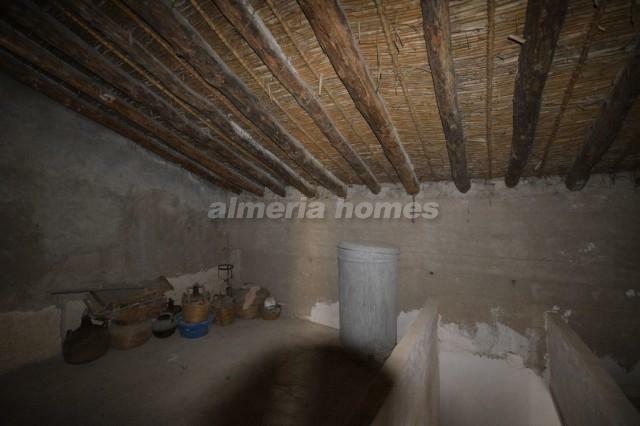 Outside there is an integral garage and a small plot for renovation. 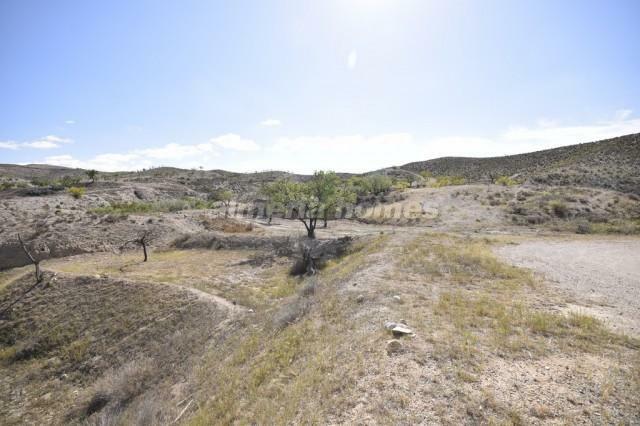 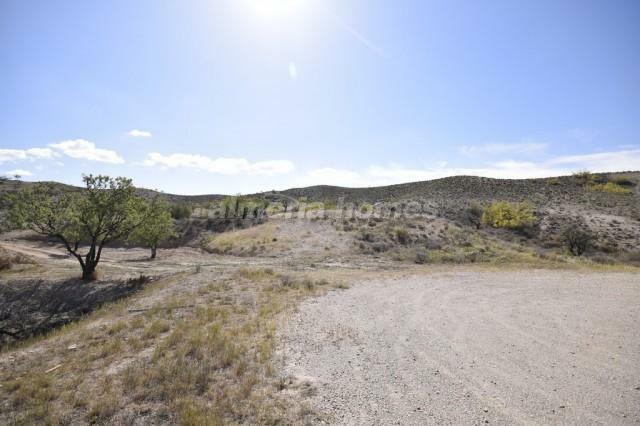 The property comes with 3000m2 of land currently planted with olive and fruit trees. 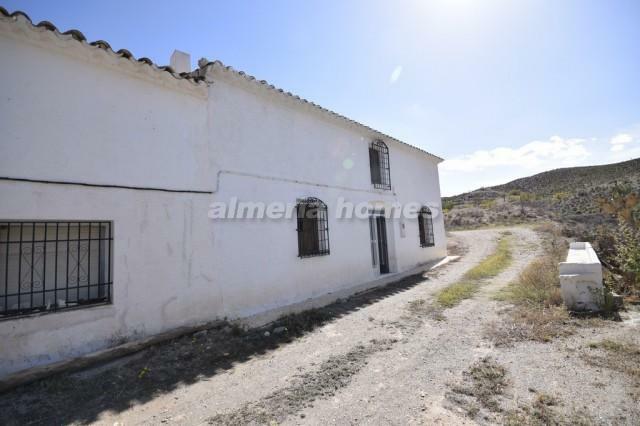 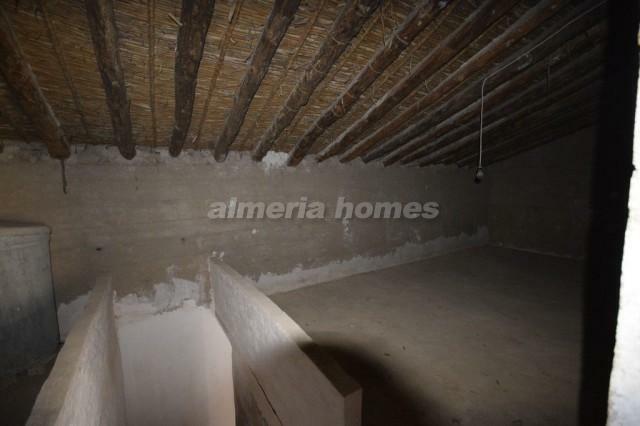 This farmhouse for sale in Almeria is truely perfect and viewings are highly reccomended.